Atlas, a pioneer in the high-speed lighting industry since 1976, specializes in technical lighting systems for high-speed photography. Our custom-designed systems enable photographers to always capture the best images possible. Today, the Atlas HIGH-S-LIGHT HMI series consists of 1200/2500/4000 W Boost luminaires. All proven quality, providing continuous light of outstanding reliability. 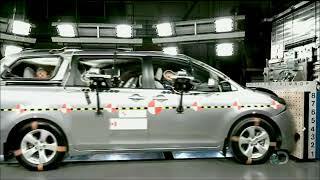 The reliability of light and cameras is one of the highest criteria for any crash test, since tests are extremely costly. Continuous light gives every photographer the maximum freedom possible - no worries about having to manage the synchronization of pulsed (LED) flashes with all cameras. For LED lighting Atlas maintains two partnerships - one for the overhead floodlights and one for the onboard LEDs. 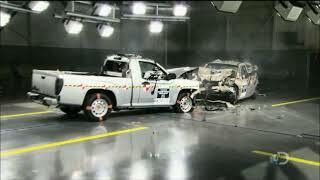 LED crash test lighting offers some advantages over conventional HMI lighting solutions. Firstly, no warm-up time - LEDs start instantly. Additionally, lower energy consumption compared to standard lighting systems. Finally, less thermal load on the test set (dummies or air bag systems) allows for more accurate testing.